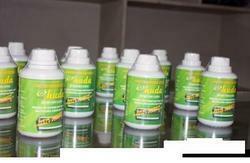 We are engaged in offering exclusive range of Huda Battery Additive. It improves the strength properties and well as life of the battery. Our Battery Life enhancer work on all the Type of Lead Acid Battery. like Deep Cycle Battery, VRLA Battery, AGM Battery, Gel Battery, Maintenance Free Battery. s such to extend the service life of rechargeable battery two to three times. It will quick charge and save 50% of charging time. It extends the standby time up to 0.5-2 times. It helps to increase battery life of mobile phones, digital cameras, palm computers etc. such to extend the service life of rechargeable battery two to three times. It will quick charge and save 50% of charging time. It extends the standby time up to 0.5-2 times. It helps to increase battery life of mobile phones, digital cameras, palm computers etc. nd save 50% of charging time. It extends the standby time up to 0.5-2 times. It helps to increase battery life of mobile phones, digital cameras, palm computers etc. Pioneer Battery Life Enhancer increases the life of battery 2 to 3 times or more.